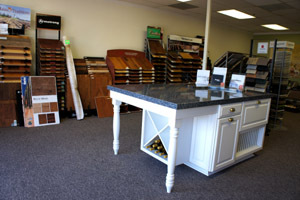 San Jose Kitchen & Bathroom Remodeling and Design Showroom! Tomlinson Construction has been great company to work with. I wish we had found them years ago. Tomlinson Construction is committed to delivering kitchen and bathroom remodels that are second to none in terms of workmanship and quality. So we only depend on trusted suppliers of products and materials that meet our highest standards. Unfortunately, there are many contractors who will try to save money by purchasing materials from unknown overseas sources, only to deliver a finished product that doesn't have the durability, quality or appearance that would make a lasting impression. Sure, it may cost us a little more to feature and support American based manufacturers, but the results will be seen and enjoyed for many years to come. Our satisfied customers agree that it's an investment worth making. Tomlinson is an authorized retailer for many American brand names you're already familiar with, like Jensen Cabinets, American Standard, Atlas Homewares, Swanstone, Ronbow and Waypoint Living Space, to name just a few. Tomlinson Construction Company is a business that believes in community. South Bay Area residents have been inviting us into their homes for remodeling and design work for years, so we feel a strong connection with our neighbors in this area. As a way of giving back, we are extending special offers and discounts to homeowners 55 and older, that could save hundreds of dollars on your next remodeling project! 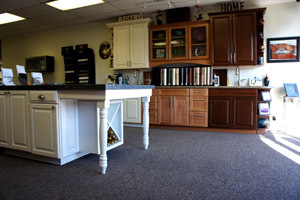 We provide design assistance at our showroom as well as product samples on display to help you with the selection process. Our showroom has full kitchen displays as well as bathroom mock ups so you can see, touch and get aquainted with many of our product offerings. Tuesday through Saturday from 9:00am – 5:00pm. For your convenience, you can also schedule after hour appointments. Copyright 2010 © Tomlinson Construction Company.